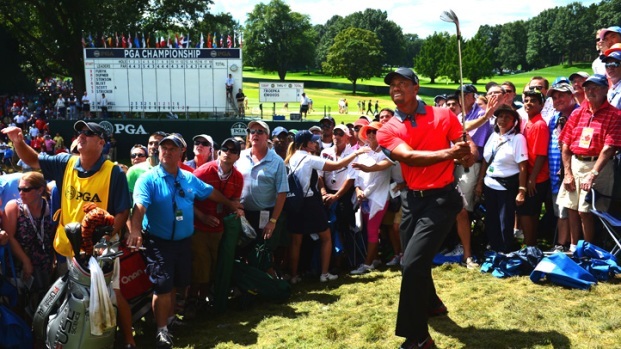 Tiger's problems aren't going to go away in a swoosh. David Spade seemed genuinely surprised at the outrage sparked last fall when footage from "Tommy Boy" and some fancy camera work were used to reunite him with his late buddy-movie pal Chris Farley for a DirecTV commercial. An apologetic Spade insisted he intended the ghoulish spot as an homage to his fallen friend – and not a bid to restart his own career. "I wouldn't want anyone to get a whiff that I'm trying to get something off Chris," he told People. It wasn't the first celebrity-driven commercial to use images of famous folks no longer with us. Fred Astaire's posthumous, 1997 dance with a Dirt Devil vacuum cleaner struck many as odd. Apple invoked Gandhi, Einstein, Martin Luther King and other notables in its late 1990s “Think Different” campaign. DirecTV tastelessly used footage from “Poltergeist” with Heather O’Rourke – the “They’re baaack” girl who died in 1988 at age 12 – to hawk satellite television a couple years ago. But the new Tiger Woods Nike spot with a voiceover from the golfer's late father, Earl Woods, might be the creepiest celebrity commercial of all. The context and timing of the words from the elder Woods, who died in 2006, are unclear. 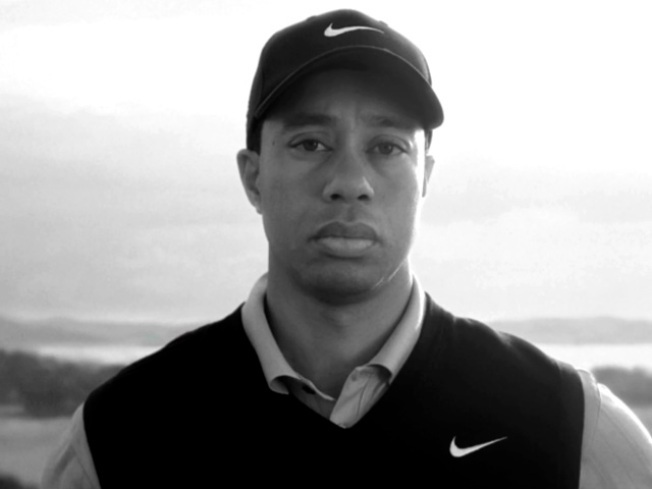 So we'll ask a question in the context of the commercial: What were Tiger – and Nike – thinking? You’ve got to hand it to Woods – the ad marks a new strategy in the tiresome celebrity-comeback-from-disgrace ritual, which goes something like this: a scandal breaks, the star clams up amid a wave of sordid revelations, ducks into rehab, emerges with a humbling public statement, gives tightly controlled interviews to trusted reporters (or better yet, Oprah Winfrey) before launching a triumphant comeback. Woods, who is on a self-serving self-flagellation kick as he returns to golf this week, has added to the formula a public scolding – delivered in a sneaker commercial, by a loved one/authority figure who has been dead for nearly four years. Tiger Woods, of course, is a lot more than a golfer – he’s an endorsement machine, who, pre-scandal, reportedly made $100 million a year from deals beyond the links. Nike, which gave us Charles Barkley unapologetically declaring, “I am not a role model,” offered a Woods a chance to help keep their lucrative association with him alive by letting him essentially make penance in a 30-second ad. The presence of Woods’ mother, Kultida, at his February question-free press conference/public confession proved unsettling enough. It feels even more unnerving and unseemly for Woods to use his late father to help sell himself to the public as a chastened man. For someone who already has dragged his family through the rough over the last four-plus months, the commercial might be Tiger Wood’s most selfish stroke yet.